Ideally you want to get into a whiskey bottle, not spend all your time reading it like a cereal box. But to ensure you actually like what you buy, it’s probably a good idea to know how to decode a label. We won’t get into the nuance of all aspects here—whiskey subjects, if you’ve dabbled into them at all, tend to inspire some serious exegesis—but we can help guide you down the whiskey (whisky) aisle with a few key terms and basic definitions. There’s plenty more to cover, so don’t freak out if something isn’t here. A lot of terms have to do with bourbon and its many idiosyncrasies, and that’s OK because, well, people are super into bourbon right now. Whiskey vs. Whisky: Just a matter of tradition here, with Scottish, Japanese, and Canadian producers preferring “whisky” and Irish and American producers using “whiskey” (some American producers, like Maker’s Mark, prefer “whisky”). Place: Fortunately, there are several prominent whiskey-making regions. The most prevalent are Scotland, Ireland, Canada, Japan, and America, with sub-regions often indicated on the bottle (which matters for some places more than others, e.g. the different Scotch-producing regions can produce whiskies of drastically varying character). Contrary to popular belief, bourbon does not have to be made in Kentucky, though plenty of it is. Alcohol: This one’s easy. You’ll either see “ABV,” or alcohol by volume, or proof (which is twice the ABV). A spirit’s ABV is legally required in the U.S.; degrees proof is not). Since not every climate is created equal, there are ideal ages for different regions. Basically, whiskey can age longer in a colder climate. A warmer climate, like a fire under a pot of water, will speed up the reactions that take place between spirit and barrel. Irish Whiskey: Like Scotch, all Irish whiskey has to see 3 years in oak barrels. Bourbon: To be called “bourbon” whiskey, there’s actually no aging minimum. True story. Straight Bourbon Whiskey: This is where you can count on an age minimum: 2 years in charred new oak barrels. If it’s aged for fewer than 4 years, that age has to be stated on the bottle. 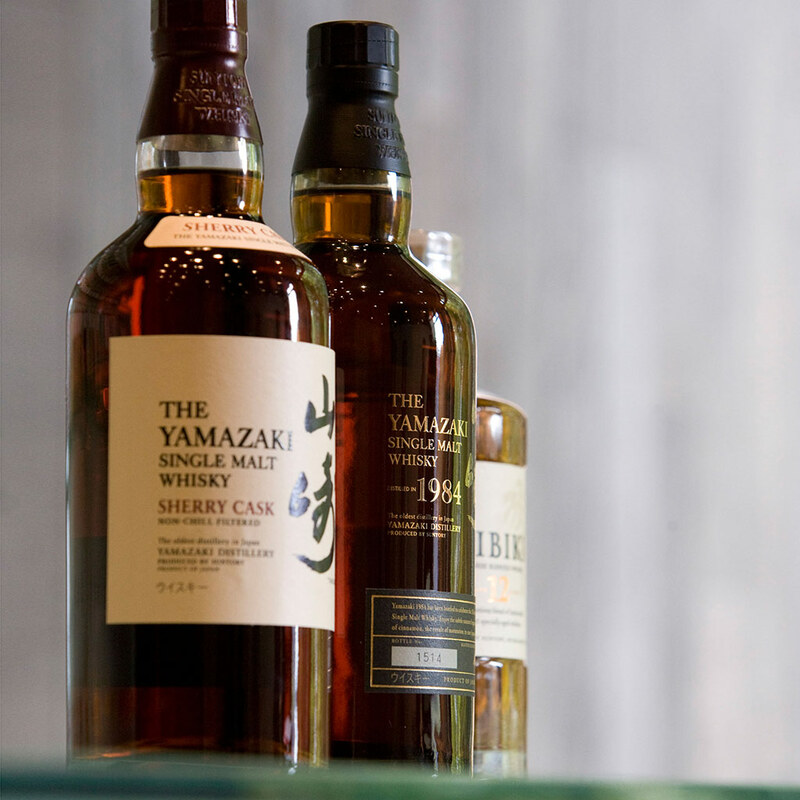 Japanese Whisky: Japanese whisky is at least spiritually modeled, if not produced quite the same as, scotch. So the minimum 3 years in oak—though it may be Mizuna oak—applies here. Canadian Whisky: Once more, the minimum 3 year rule applies. Single Malt vs. Blended: More often seen on Scotch bottles, “single malt” whisky is the product of one distillery, in Scotland made only with malted barley. Blended whisky contains a mixture of barrel-aged malt and grain whiskies. (American blended whiskies can legally contain neutral grain spirits and water, and should generally be avoided. Per spirits expert Dave Wondrich, American blended whiskey is just “whiskey-flavored vodka.”) A blend of several malts is simply called a “blended malt” whisky. Sour Mash: Don’t let the name fool you, this has nothing to do with tang. It’s a term in bourbon whiskies that refers to using some of the “spent mash” (or fermented mash that still contains active yeast cultures) in the new mash in the production of bourbon, for flavor and pH balance. Like using a kombucha mother or sourdough starter to help kick-start fermentation of the new batch. Small Batch: A fuzzy term, without any strict legal definition. In reference to bourbon or rye (where you’ll see it most often), it can mean distilled in quantities of around 20 barrels or fewer. Bear in mind, some “Small Batch” labelled whiskies are actually just bottled by the producer and distilled at Midwest Grain Products, or MPG, a huge facility in Indiana. Not quite small batch. Bourbon or Tennessee Whiskey? : If you know what bourbon is (made with at least 51% corn and aged in charred new oak barrels, barreled at 125 proof), you basically know what “Tennessee Whiskey” is. Just take bourbon and add the Lincoln County Process, a maple charcoal filtration that’s supposed to yield a smoother whiskey. If a bottle says “Tennessee Whiskey,” they want you to know they’re differentiating themselves from bourbon. Straight Kentucky Bourbon: Bourbon has no age minimums (still a true story) but “straight” bourbon whiskey has seen two years in the barrel (charred new white oak). If it’s aged under 4 years, the age statement has to be on the bottle. Any bourbon that’s aged significantly more than 4 years will absolutely state that on the bottle (they’ll want you to know the stuff in that Knob Creek bottle is 9 years old). Bottled in Bond or Bonded: Kind of like “Single Malt,” but a bit more to it. A bourbon made at one distillery in one season, aged a minimum 4 years in a federally bonded, supervised warehouse. Always 50% ABV. Basically an old school guarantor of quality that may not really be relevant in this day and age, but you see it. Single Barrel: Unlike “small batch,” this one definitely means something specific, every time, and can be seen on Bourbon or (increasingly) Scotch bottles. It means the whiskey/whisky came from one barrel. Instead of the consistency of one product—which is what a whiskey blender usually goes for—this is all about the idiosyncrasies of one barrel. Again, there are other terms and qualifiers you might see, including things like “Non-Chill Filtered” and “Caramel Coloring” (most countries don’t require it, though any “straight” whiskey made in the U.S. can’t have caramel coloring). But with whiskey, it may be best to start simple—and not just because that gets you into the bottle faster.